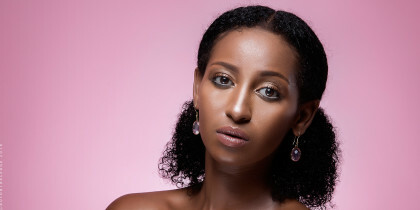 Sarah Hassan is one of Africa’s most established actors and TV personalities. She started acting at the age of 5 and has held major roles in numerous TV series and films. She has also hosted various TV shows and MC’D live events for different notable brands in the African Market. 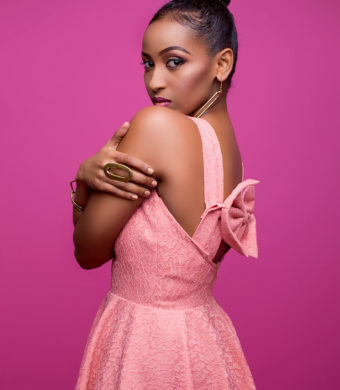 Her first TV series, “Tahidi high” saw her scoop the BEST ACTRESS award twice in a row at the CHAT awards (2010 and 2011) in Kenya. 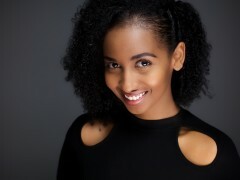 Later on in 2014, her role in the short film ‘Now That You’re here’, which was part of the 48HOUR FILM CHALLENGE, saw her win BEST ACTRESS in Kenya 2014. In October 2015, Sarah and her co-host Charles Ouda, won the BEST TV HOSTS AWARD at the prestigious Kalasha Awards for Discovery +254. 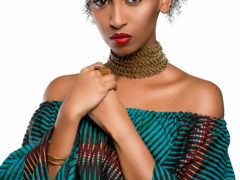 Not long after that, on the 6th of December, 2015, Sarah won the coveted BEST EAST AFRICAN JOURNALIST OF THE YEAR award at the Swahili fashion week held in Dar es salaam, for her work on Mashariki Mix and Maisha Max, showcasing the beauty of East Africa to the world. In January 2016, she moved to Los Angeles, California, for two and a half years to study and learn more about the film industry. While in Los Angeles, she wrote, produced, co-directed and acted in a short film, ‘The Company You Keep’ in 2018 that saw her bag 4 BEST ACTRESS AWARDS and 4 BEST SHORT FILM AWARDS. 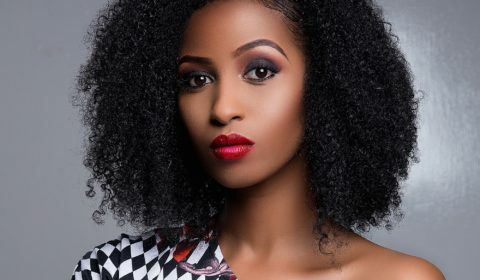 Sarah was the MOST GOOGLED ACTOR in Kenya 2013 and was ranked in the TOP 100 MOST INFLUENTIAL YOUNG KENYANS in 2016. Aside from that, Sarah Hassan holds a degree in Actuarial Science. This is an international film about the kidnapping of a young girl and a father who never gave up on finding her. Sarah was privileged to play an NGO official who gave advice to the heart broken father anytime he needed it or needed to hear it. This was Sarah’s first time shooting on film and working with amazing talent from all over the world. In this amazing drama, Sarah plays the role of Carol, a naive, blonde, money loving but emotionally abused woman married to an egotistical, manipulative man. The show revolves around Carol, her two best friends and their everyday drama and struggles. This show had an incredible cast and crew and was nominated at the AMVCA 2016 in the category of Best TV series. A short film about a wife in an abusive marriage who tries to get out despite the dire consequences. 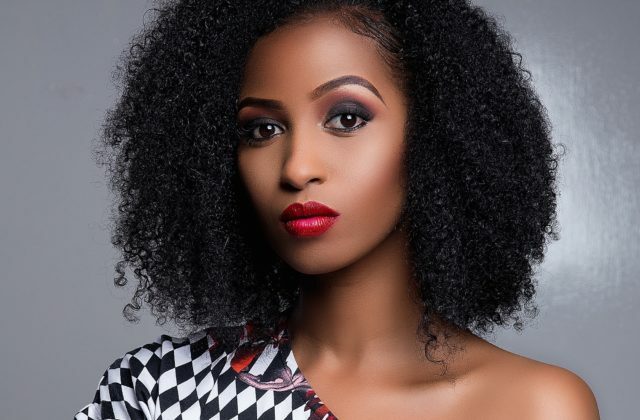 In this MNET drama, Sarah Hassan embodies the role of Leah, a down to earth, very bright and talented newspaper editor who rises in the midst of inter company war, being framed and personal issues to become CEO of one of the top Newspaper companies in Kenya. A show with great cast and crew that got a nomination in the best TV series category at the AMVCA 2016. This was Sarah’s first big break on TV acting as a naive, down to Earth Rich girl in the popular infortainment school drama. The role saw her scoop two best actress awards at the 2010 and 2011 CHAT Awards. In this Saga, Sarah played a big mouth lawyer who bullied all her clients but gets away with it because of always solving their problems legally or illegally. This is a hilarious comedy revolving around the sexual habits of young kenyans. Sarah was nominated in the supporting best actress category at the Kalasha awards 2014 for her role as Chichi in this comedy. This a comedy where Sarah plays a pregnant psycho killer who battles her conscience as to whether to turn a new leaf but be on the run from the the terrible boss or continue working for the boss and bring a child in to the world of chaos. This a short film that was shot for the 48 hour film challenge 2014 that saw the cast and crew get together, write a script, shoot, edit and submit it in 48 hours. the short film won BEST FILM and Sarah Hassan walked away with the BEST ACTRESS awards. This was Sarah’s first professional shoot encounter immediately after high school, she played a young girl who’s boyfriend was snatched away from her by her mother. a twisted family drama that saw the start of her career. 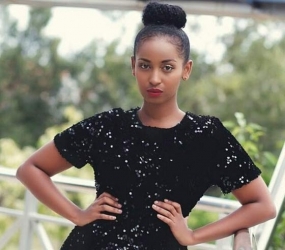 In this Emotional roller coaster, Sarah Hassan was cast as a young girl who had been sexually abused by the step father, ran away from home to become a street kid and fend for herself in the harsh streets of Nairobi. Hollywood acting coach, Neil Schell cast Sarah alongside other acclaimed actors and actresses in this medical drama as an over emotional nurse who gets involved in all her patients lives creating all sorts of chaos as she tries to help everyone. 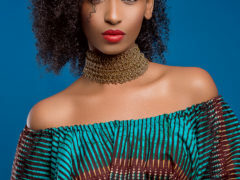 Sarah hosts This Mnet production that showcases the beauty that is East Africa, from the beautiful destinations to amazing personalities, fashion, food, lifestyle and everything nice that represents East Africa. 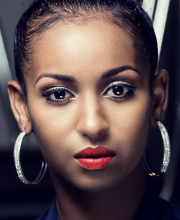 Further more she hosts it in Swahili, the beautiful language that represents the culture of East Africa. Discovery +254 is a magazine-style television program, airing on NTV, which seeks to entertain, inspire, inform, and connect with audiences across Kenya. The program allows young people, parents, and communities to see what can be accomplished with a good education and hard work, featuring celebrity guests, youth reporters and inspiring stories from across Kenya. 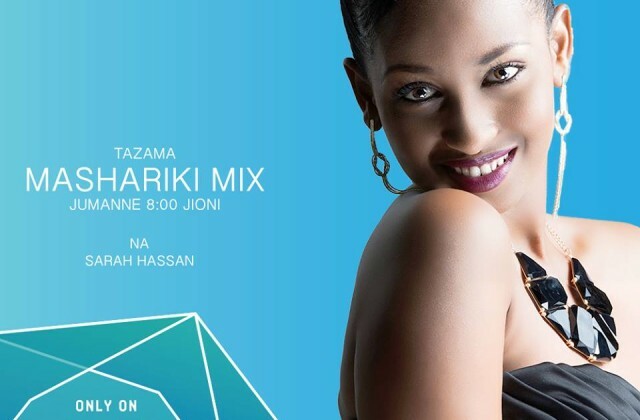 This is a spin off of Mashariki mix where i co-host this incredible East African lifestyle show with Jokate mwegelo from Tanzania bringing together East Africa and showcasing its beauty to the world. In 2013, Sarah got the opportunity to go to India and shoot the Toss white advert which was an amazing experience thanks to one of the biggest advert agencies in Kenya, The Advertising Company. This is one of the most popular shows in Kenya where Sarah hosts an amazing one hour show featuring some of the best wedding in Kenya giving inspiration to engaged couples looking for ideas for their big day as well as showcasing the beauty of love. Sakata was the first Dance show in Kenya and aimed at showcasing talented young people. It is now one of East Africa’s Biggest shows and Sarah was privileged enough to Host the 2nd season of this amazing, high energy show. Growing up, I was always in plays, sports, math clubs, science contests, lets just say I was an active kid, when I got out of high school, I wanted to study math as that had been my strongest suit and Act because that was something I loved to do. I was blessed to be able to do that, I studied actuarial science in JKUAT Karen, acted and hosted TV shows alongside many amazing, talented colleagues and friends in East Africa. From when I was young, in school and was able to understand film and TV, I always wanted to go to Film school specifically New York Film Academy in Los Angeles to learn and understand more, but some dreams take longer to accomplish. Immediately I started to work, I started saving up for school fees and two years ago, I started filling out my application. Every other day I used to look at my application and work harder. Early last year my fiancé, who was my boyfriend then encouraged me to send in my application and I got accepted(YAAAAAAAYYY), I wouldn’t have been able to get this far without my mum, dad and my entire family who have always been there for me, supporting me every step of the way, not forgetting my closest friends, yes… you know who you are. To top it off when Martin, the love of my life, the amazing man who has supported me in everything I do, asked me to marry him, he also surprised me by getting two tickets to L.A, his and mine, he decided to move with me as I study and try to pursue my dream and I love him more for that. It is a scary, exciting dream. A new chapter in my life and I am so grateful to God for everything he has blessed me with so far. 2015 was an amazing year, winning Best Host for Discovery +254 at the Kalasha awards, walking away with best journalist of the year at the Swahili Fashion week, getting to work with the amazing Jokate Mwegelo from Tanzania on Maisha Max, the love of my life Mr. Martin Dale, proposing to me, and getting accepted to the prestigious New York Film Academy. So here I am, in L.A, about to begin this amazing journey, hoping for the best as I go back to school to study what I love. Welcome to my brand new site. My name is Sarah Hassan and if you go to the about me page, then you’ll get to know a little more about me. Its been a long time coming and finally my site is up (yaaaayyy! ), i’m very grateful to Ian and Tim for making this happen. The website will make it easier for anyone who wants to contact me in regards to my line of work. On top of that I get a lot of young people asking for advice on a lot of things from the tv industry to fashion and this will make it easier to reach out to me and pick my brain on what i know. The launch of my website comes at a time when i start a new chapter in my life, more on this to follow….